Hello my dearest readers! 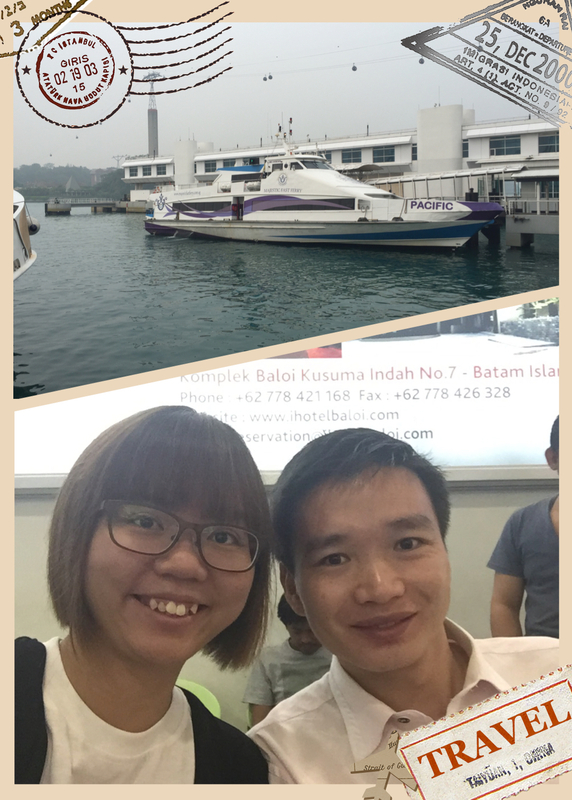 Today, I’m on a day trip to Batam with Terry! 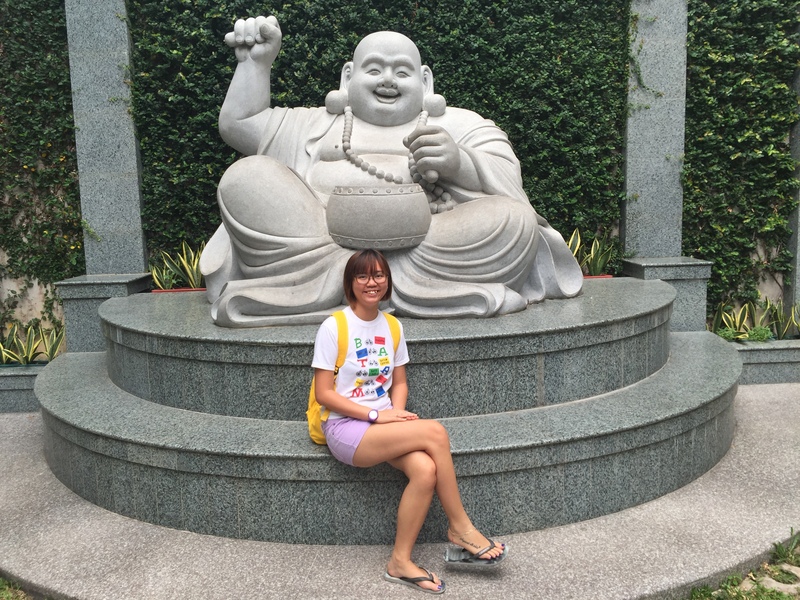 We visited Maha Vihara Duta Maitreya temple which is the biggest temple in Southeast Asia. 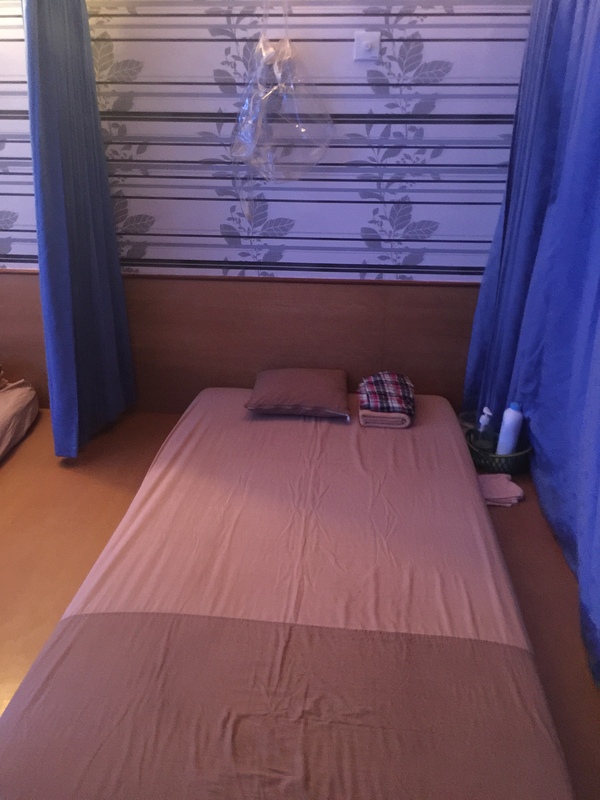 It was built in 1991 with a land area of 4.5 hectares. 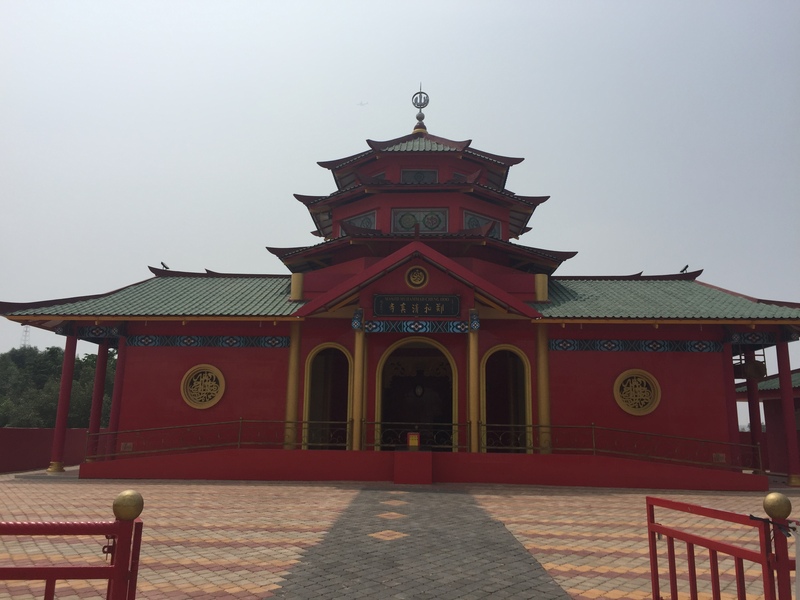 The temple has a very strong religious value which matches with the message of Buddha Maitreya, which is the message of universal love. The location of the temple is at Jl. Laksmana Bintan, Kepulauan Riau, Indonesia. 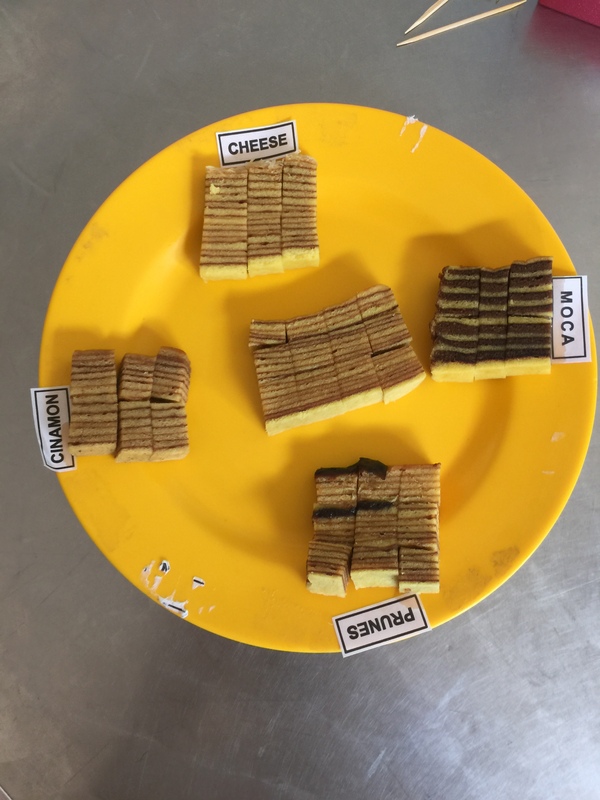 Next, we moved on to visit Batam Layer Cakes aka kueh lapis. It’s basically homemade kueh lapis. 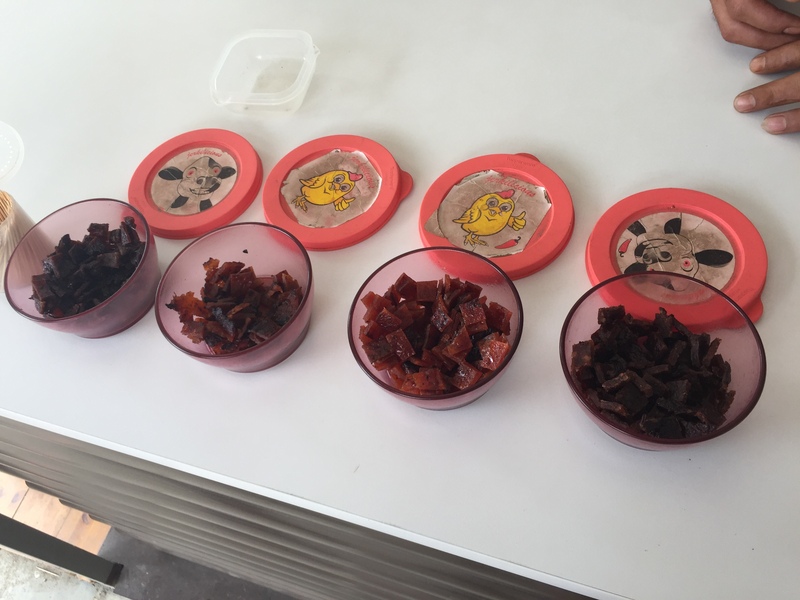 The location is at Bengkong Laut, Jalan Sumatera no.01 (Jalan Golden Prawn). You could contact them at +62 778 789 6364 or email them at blc_batam@ymail.com for enquiries. We also passed by a stall that sells barbeque chicken and beef instead of pork since most people in Batam are Muslims. 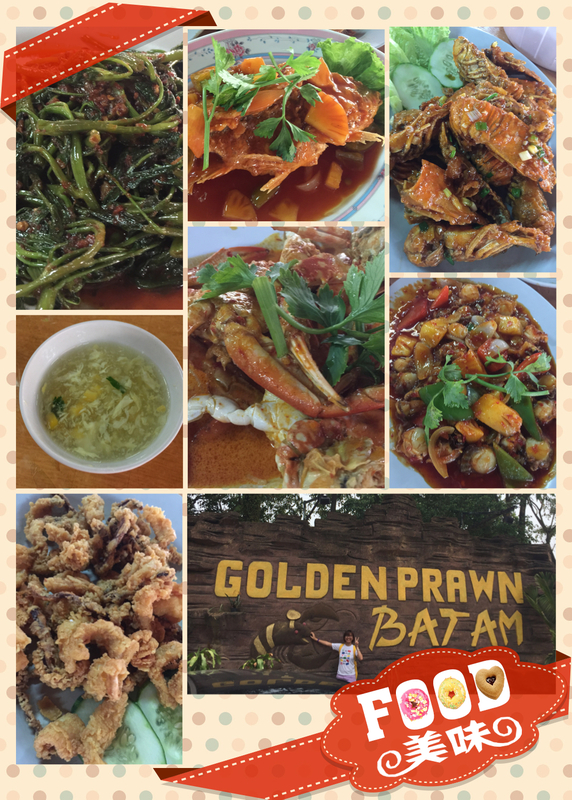 We then had our lunch at Golden Prawn. Lucky us that they ran out of gong gong and prawns, and thus we were served with scallops and crayfishes instead. Woohoo so much yummier! After lunch, we went to Golden Factory Outlet for some shopping. Do note that most items nowadays in Batam are fixed prices. Also, you cannot use Singapore dollars in Batam anymore. Everything has to be paid for in Indonesian rupiah. Soon, it’s finally my long awaited 1 hour massage at Sawadika Refleksi Massage. 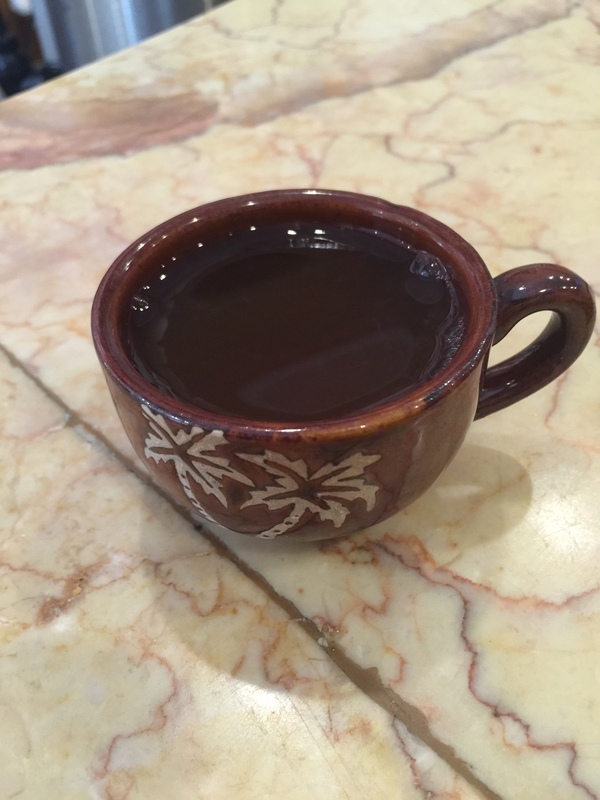 A cup of hot ginger tea was served after the massage. 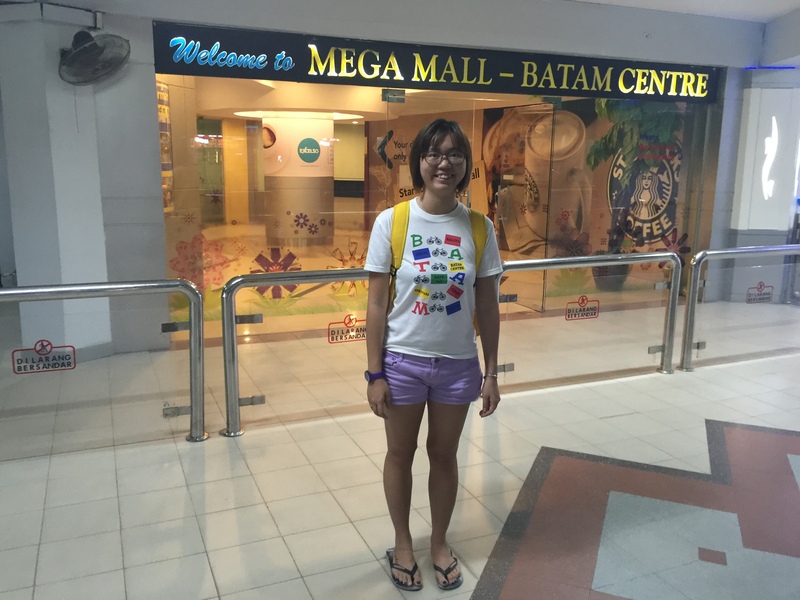 There’s more shopping after the massage – First Factory Outlet, Batam City Square Mall and Mega Mall Batam Centre. 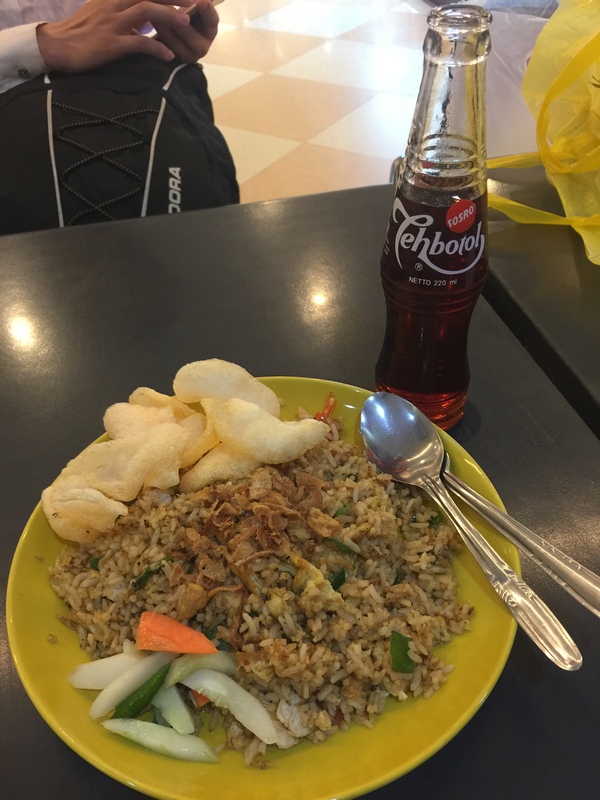 As for my dinner, I decided on a simple plate of nasi goreng over at Mega Mall Batam Centre. My loots for the day – I got the white romper at Rp. 158,000, the superdry tee at Rp. 100,000, the abercrombie tee at Rp. 150,000, the black pumps at Rp. 35,000, the watch at Rp. 50,000 and the chacha chocolate at Rp. 24,500. I’m a millionaire over in Batam!!!!!!!!!!!!!!!!! 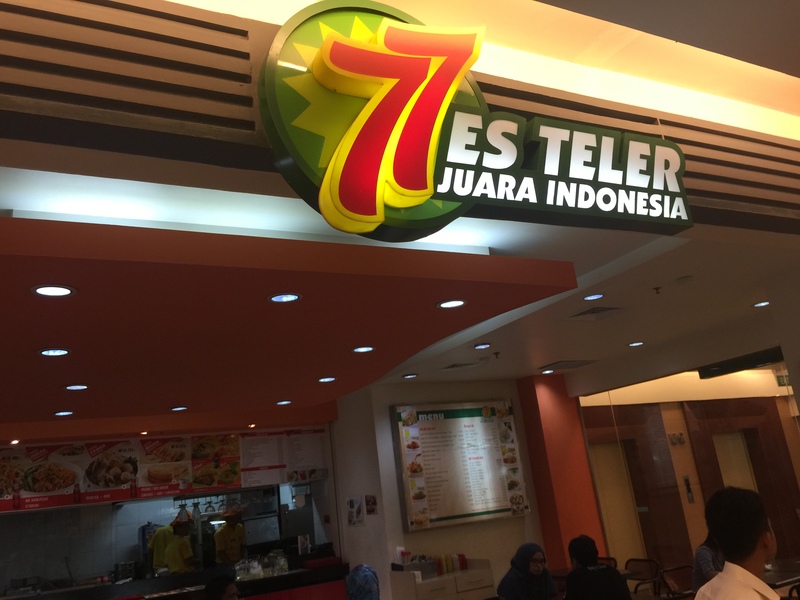 This entry was posted in Food, Friends, Travel and tagged batam, beef, branded, cakes, chicken, chocolate, fish, massage, muslim, seafood, shoes, soups, spicy, worship. Bookmark the permalink.